A vaccine in pill form to reduce the symptoms of hayfever will be launched in the UK early next year. Grazax has out-performed traditional anti-histamine tablets and nasal sprays in trials, cutting symptoms by 30%. Initially, the once-a-day pill will only be available on prescription, and is recommended for patients who have not responded to current treatments. Developed by ALK-Abello, is it taken for at least eight weeks before and during the summer pollen season. It is a form of immunotherapy (desensitisation treatment) containing an extract of timothy grass, and is known to be effective against all forms of grass pollen that cause hayfever in Europe. Effectively, the body is given the chance to build up a tolerance to the protein which triggers hayfever symptoms by being exposed to tiny amounts of it in the pill. In tests, it not only cut hayfever symptoms but also reduced the need for remedial "rescue" treatment, given when symptoms re-emerge, by 40%. Anti-histamine tablets have been shown to cut hayfever symptoms by up to 20%, and nasal sprays by up to 30%. International clinical trials of Grazax showed 83% of patients who took the pill said that their hayfever was better compared with previous years. Its effect is also much longer-lasting. The effects of a steroidal nasal spray wear off in about a week. In contrast, an eight-week course of Grazax can keep hayfever at bay for a whole season. Researchers at the Medical Research Council and Asthma UK Centre in Allergic Mechanisms of Asthma, in collaboration with colleagues in UK and abroad, now plan to assess the long-term impact of the pill over the next five years. Grass pollen immunotherapy by injection has been shown to have a long-term impact, reducing symptoms in patients for at least three years after they stop taking them. It is hoped that Grazax could achieve something similar. Researcher Professor Stephen Durham, from the Asthma Centre, said: "We know this pill is effective, that it improves quality of life, and reduces the need for treatment. "What we must address now are the long-term benefits of the treatment." Professor Durham said the pill could prove popular with patients. He predicted it could potentially help around one million people in the UK alone. He said: "Patients in general prefer to take a pill rather than have an injection. "Popping a pill under the tongue for a few months prior to the grass pollen season would be a much more acceptable form of therapy for them." At present, grass pollen immunotherapy has to be administered by injection in specialist NHS allergy clinics, as there is a small risk of a general allergic reaction. The grass tablet will increase the availability of this form of therapy to severe hayfever sufferers. Professor Durham, from Imperial College and Royal Brompton Hospital said, Grazax had been proven safe in trials of around 2,000 patients. The only side effects had been local itching and swelling under the tongue. Hayfever, which affects one in four people, is an allergy to pollens - the male reproductive parts of plants - from grasses and trees. When they come into contact with the tissue inside the nose, they trigger an immune reaction that can cause congestion, sneezing, itching, and a runny nose. It is more common during the summer and particularly during 'Wimbledon fortnight' when the levels of pollen are highest. 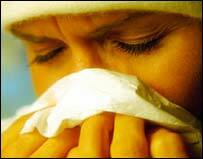 Lindsay McManus, of Allergy UK, said: "Anything that can help hayfever sufferers has got to be a good thing. "I don't think people realise quite how much of an impact hayfever can have on people's lives. "Immunotherapy in the form of something so simple as a pill is quite a major step forward." Professor Durham's team would welcome volunteers with hayfever who are interested in taking part in further research in new treatments for hayfever. A tablet a day to keep hay fever at bay?